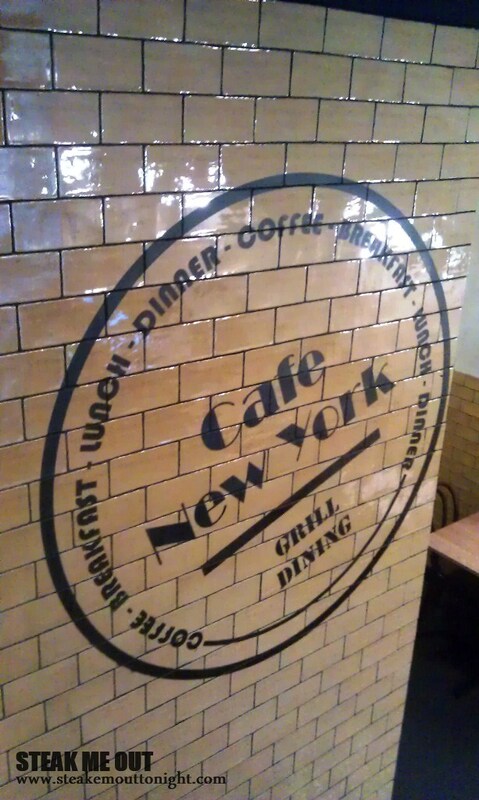 Café New York Grill was on my first Sydney list. It had steaks and ribs, I couldn’t really ask for more. We sat down and mentioned to the waitress we had to be out in an hour to catch our flight back to Melbourne, It’s wasn’t overly busy so I didn’t think it would be a problem. The place was nice and sleek; however the décor didn’t give the name any real weight. The two were disconnected with it neither feeling like New York or a grill house. The café part however held true with the downstairs (and subsequent entrance) being a café. Partaking in this meal were two of my colleagues and myself; which meant I had an opportunity to suggest getting 4 meals and sharing them (to some extent). One went for Braised lamb Shanks ($24), the other Roasted Pork Belly ($22), while I went for a scotch fillet, MSA Grain Fed, ($26) cooked rare with Béarnaise sauce on the side and to share we ordered a full rack of their BBQ pork ribs ($40). About 20 minutes past then the food started rolling out, first the shanks, then the pork, then the steak, finally the ribs. 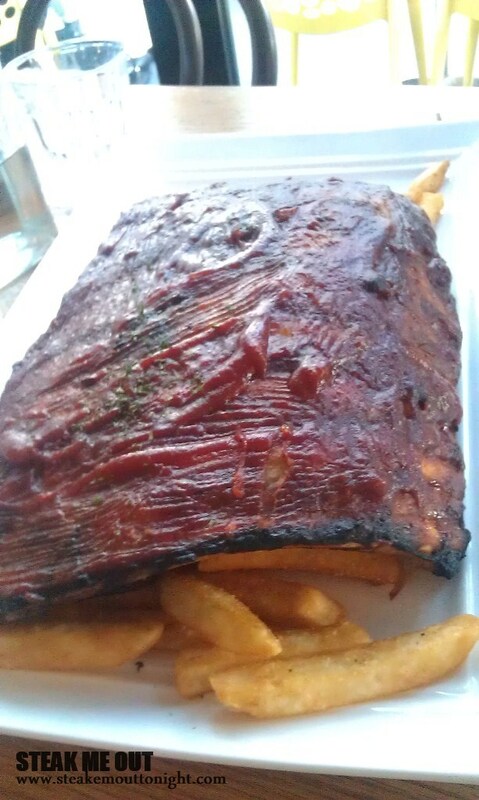 My first observations were the ribs, full racks, not these half racks most places sell, the second was the saucing of them, it seemed slightly light and consequently a little dry but we’ll come back to that. First up, the steak. Visually it looked great: moist, char marks with a smokey aroma. The salt and pepper was ok, with the shakers on the table coming into play on this one. 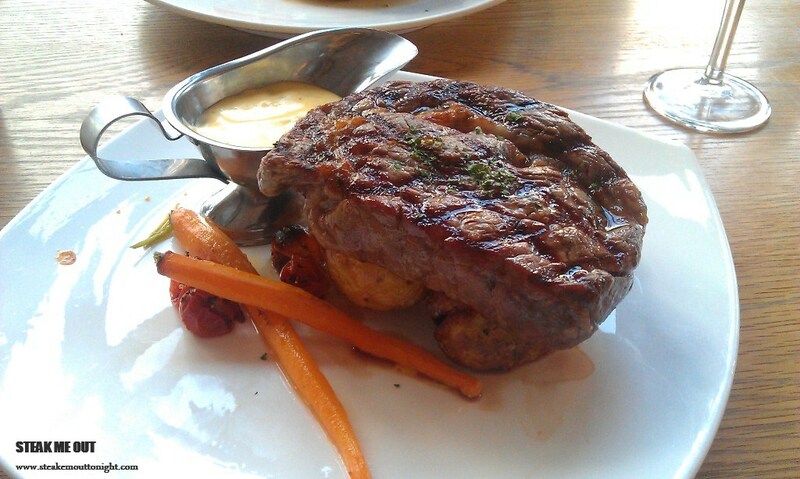 The béarnaise was good but I’ve had better, though the meat itself was great – tender as anything with a good flavour but slightly overcooked. 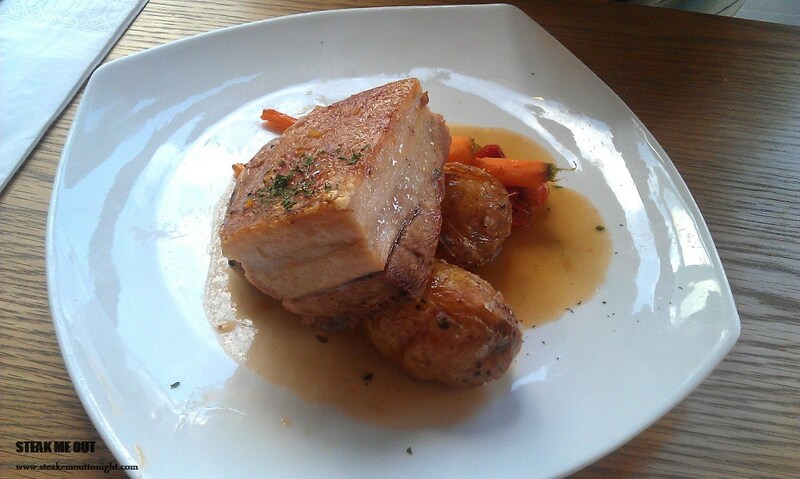 The roasted vegetables were a nice change from chips and went well with the meal, definitely worth the $26. 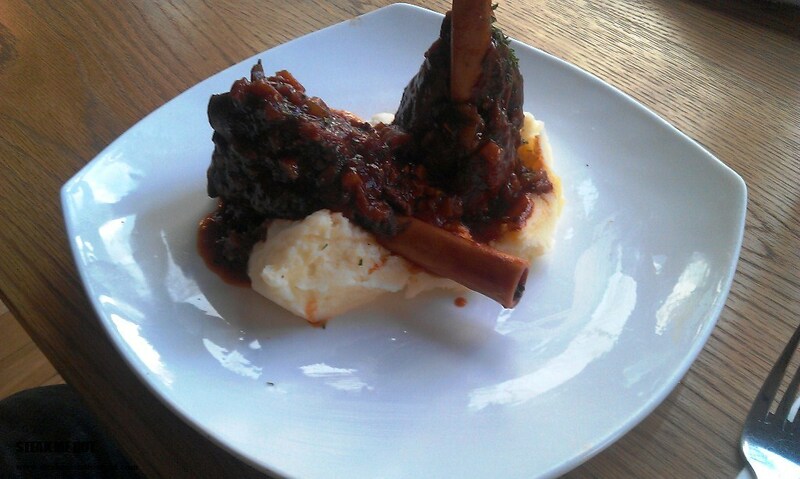 The sauce the shanks arrived in lacked flavour and reminded me of the jar Dolmio stuff. The shanks themselves could’ve also used another hour in the pot to really bring out their tenderness as they were left feeling tough and rubbery. glaze and salad but also could’ve done with another hour in the oven to give it a nicer texture. Finally the Ribs; the size was good, the flavour wasn’t overly complex but still great however there just wasn’t enough sauce. This however was quickly remedied by the waitress who concurred with my observation stating that she always tells the chef to drown her orders when she has them. Once we received a jug of sauce it was happy days. hshore but there is room for improvement. Nevertheless, it was a good meal and I would go back if I was ever in the area. 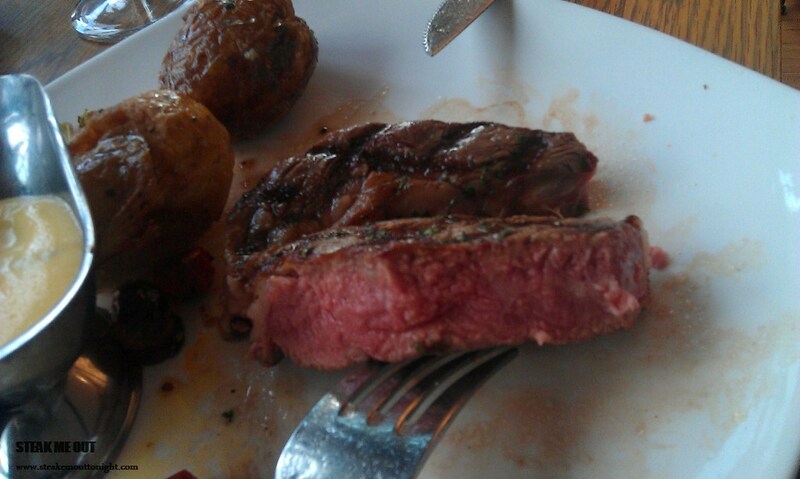 Posted on November 24, 2013 October 13, 2015 by AdrielPosted in Ribs, Steak, SydneyTagged BBQ, Good, Moderately Priced, Pork ribs, Scotch Fillet, Steaks, Sydney.